"No Radar. No Contact. No Control." 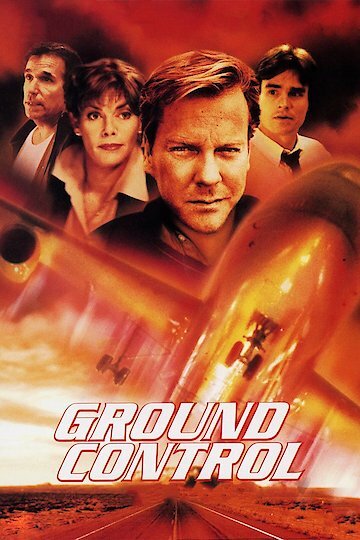 Kiefer Sutherland is a pilot that has relieved himself from duty because he believes he is responsible for a crash that has happened some years ago. He has taken a job that is extremely below a pilot. Now, Kiefer's friend, who lives in Phoenix, asks Kiefer to help him out because he has little staff and there is a bad storm coming. Knowing his past, there are many people that do not want Kiefer to even look at them, never mind work with them. However, when Kiefer is needed the most he delivers, and he saves lives that he could not save years ago. Ground Control is currently available to watch free on Tubi TV and stream, download, buy on demand at Amazon, Vudu, Google Play, iTunes, YouTube VOD online.